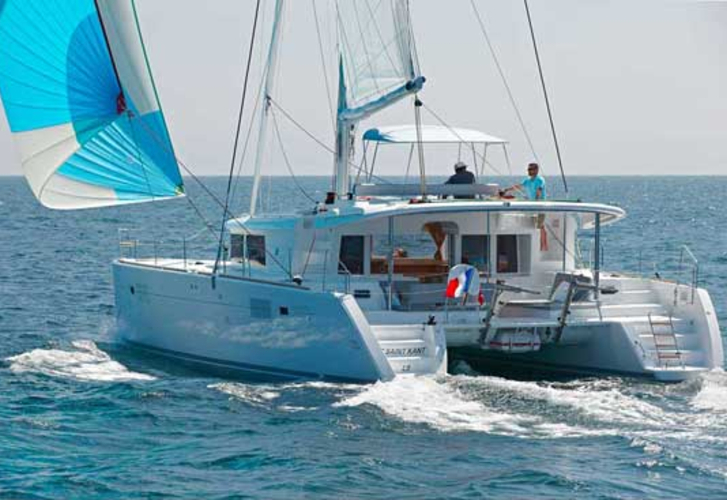 LAG 450 -15- COR is a name of sailing boat Lagoon 450 ,which was produced in 2015. 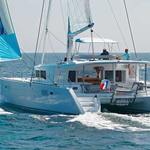 You can rent her from port Seget Donji in the surrounding area of Split. 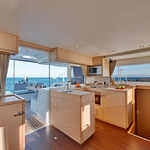 LAG 450 -15- COR is equipped with 10 berths. 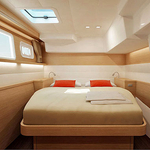 Beds on the sailboat are configured in 10 layout. 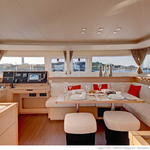 4 bedrooms are located inside the sailing boat LAG 450 -15- COR. You can analyze more yachts clicking here: Catamarans Split. 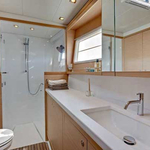 Guests can feel comfortable on this yacht , because there are 4 WC with showers for their disposal. With 1000.00 l liters in tank for fuel you can sail really far and still be independent because of 350.00 l l. in water container. LAG 450 -15- COR is powered by engine 2x40 hp. 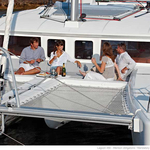 Sailboat's dimensions are: LOA - 13.72 m , width - 7.84 m and 1.30 m of draft. Security caution has value 3000.00 EUR. 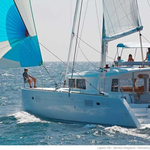 In our search engine you can quickly check avalailability of vessel LAG 450 -15- COR from Seget Donji by going here: Catamarans Croatia.